A collection of rare Grateful Dead prints that went up for auction last month were stolen before they could be shipped to someone who purchased them. 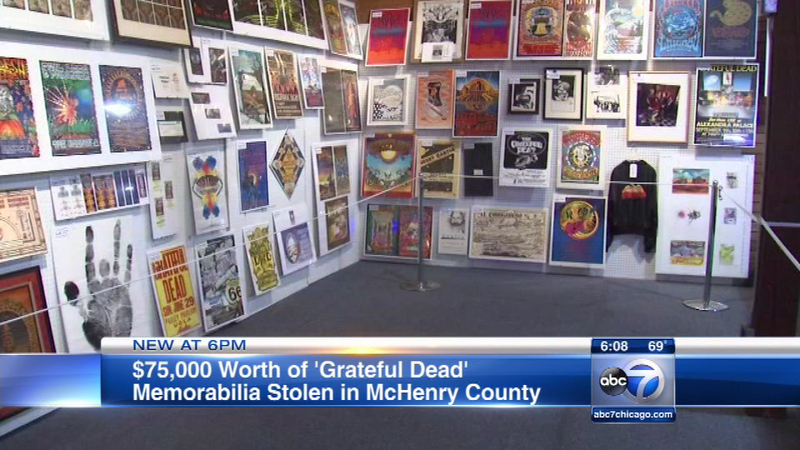 UNION, Ill. (WLS) -- A collection of rare Grateful Dead prints that went up for auction last month were stolen before they could be shipped to someone who purchased them. The prints, which feature the band over the years, went up for auction in celebration of the band's 50-year anniversary. The print collection is valued at $75,000. The new owner is offering a reward for the collection's safe return. Donley Auction Services in Union, Ill., in McHenry County held an auction of more than 700 Grateful Dead items last month.